As President and Founder of JFS Wealth Advisors, Bob has over 40 years’ experience helping clients achieve their financial goals through integrated financial planning and portfolio management services. Bob’s vision for starting JFS was to capture an individualized approach to wealth management, prioritizing personal attention to clients’ unique goals and circumstances and crafting quality, tailored solutions to meet those needs. Bob leads a team of dedicated, independent wealth advisors who create value for individuals, families and institutions through transparency in service and a disciplined approach. The JFS team develops investment strategies based on the science of capital markets, employing investment principles that are grounded in research and stand the test of time. Outside of the office, Bob has a long history of community involvement and leadership. He currently serves as Trustee and Investment Committee Chair for Westminster College; Director Emeritus and Chairman of the Investment Committee for the Community Foundation of Western PA & Eastern OH; Trustee and Treasurer of the F.H. Buhl Farm Trust; Founder and Director Emeritus of Penn-Northwest Development Corp.; and Founder, Director and President of the Community Hope Investment Partnership. Bob formerly served as President and Treasurer of the Pennsylvania Institute of Certified Public Accountants (PICPA), Chair for its Estate and Personal Financial Planning Committee, and member of the CPA Journal Editorial Board and PICPA Council. 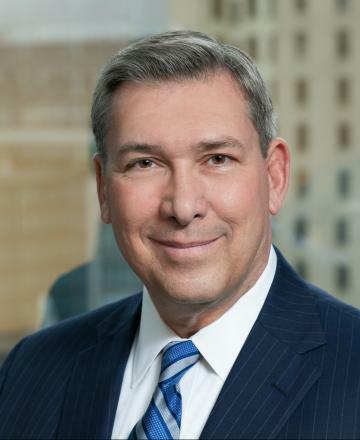 Bob has also served as Chair for the American Institute of Certified Public Accountants (AICPA) Personal Financial Specialist Credential Committee and member of its Governing Council, Personal Financial Planning Conference Committee and National Accreditation Commission. Bob has authored a number of articles for various publications and has been a featured speaker at state and national financial planning conferences. He has served on national advisory committees for Lockwood Advisors and Charles Schwab & Co., addressing the needs of independent financial advisors for separately managed investment accounts. He was also a member of TD Ameritrade’s National Advisors Panel and served on the Board of Directors for National Advisors Trust Company. Bob holds a Bachelor’s Degree from Westminster College and a Master’s Degree in Business Administration from Youngstown State University. A Certified Public Accountant, he received the Personal Financial Specialist designation with high honors from the AICPA, and is a CERTIFIED FINANCIAL PLANNER™ professional. Bob and his wife live in Hermitage, PA and have residences in Pittsburgh, PA and Naples, FL. He enjoys spending time with his family, which includes three grown children and four grandchildren, a broad range of reading and fitness activities.